It's not easy to recall now how lonely a position both men once occupied. By the late 1930's, democracy was discredited in many circles, and authoritarian rulers were everywhere in the ascent. There were some who decried the scourge of communism, but saw in Hitler and Mussolini 'men we could do business with,' if not in fact saviors. And there were others who saw the Nazi and fascist threat as malign, but tended to view communism as the path to salvation. 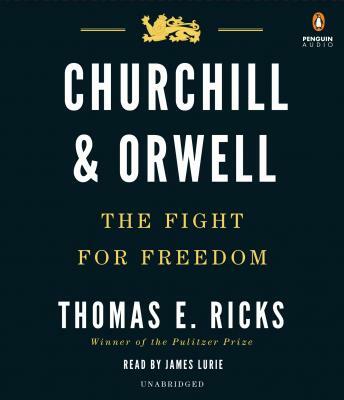 Churchill and Orwell, on the other hand, had the foresight to see clearly that the issue was human freedom—that whatever its coloration, a government that denied its people basic freedoms was a totalitarian menace and had to be resisted.